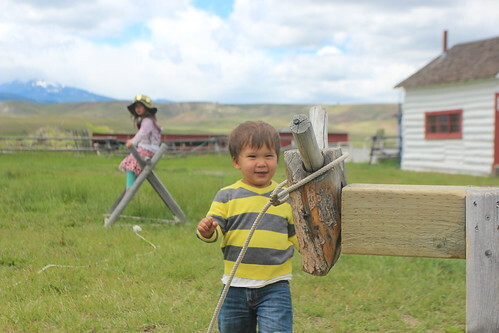 Mali Mish – Montana: June and July 2014. It had started to drizzle a bit so we didn’t really know how our visit was going to be. 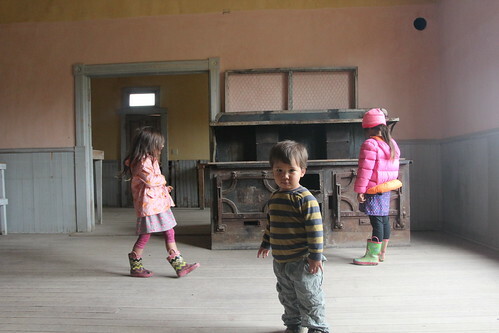 By the time we got to Bannack the ghost town, it had miraculously stopped. 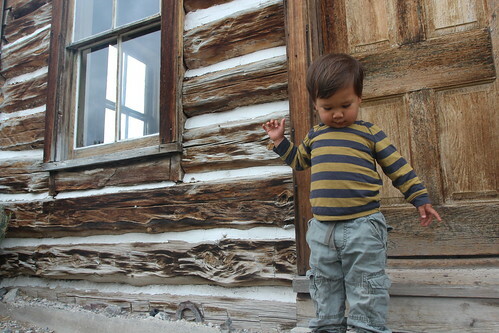 We didn’t waste any time and got out to do some exploring. 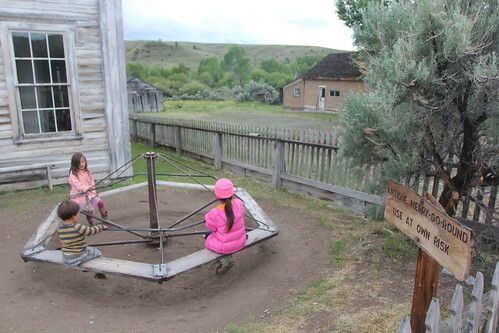 In 1862, gold was found here in Bannack, Montana as the town swelled to more than 10,000 residents as it served as the capital of the Montana territory. It was connected only by a small wagon road and its seclusion from the rest of the world eventually led to its infamy. 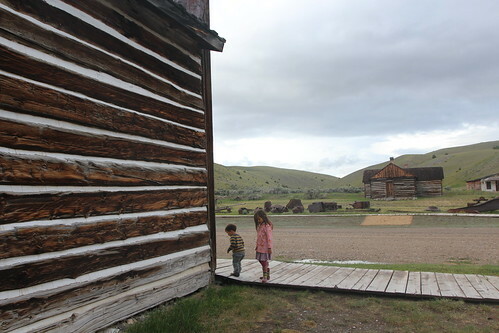 The town is surprisingly well preserved and it is now part of the Montana State Park System. 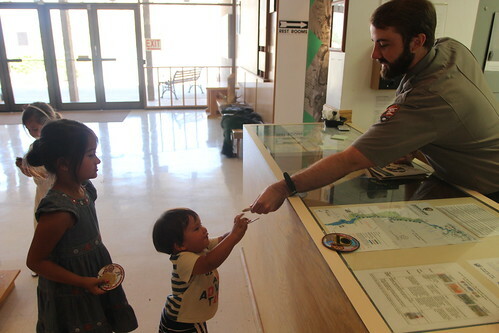 The park ranger at the visitor center told us that if a door of a building is unlocked, that means we are welcome to meander about. 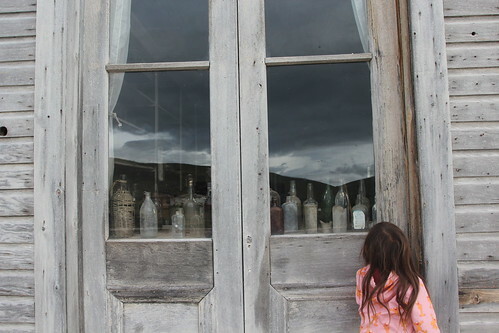 We were really surprised to hear that because at Bodie, CA, one of our favorite ghost towns, the best you can do is peek through the windows of the buildings. 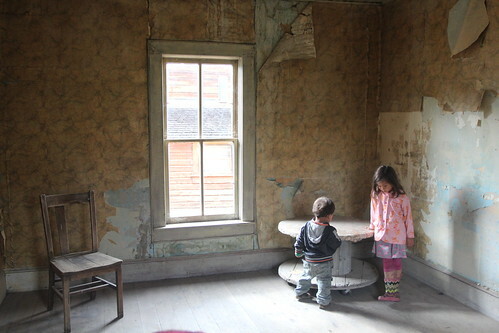 The last residents here left in the 1970s and ever since then, this place has been deserted. Back in its heyday, people flocked here for its riches. 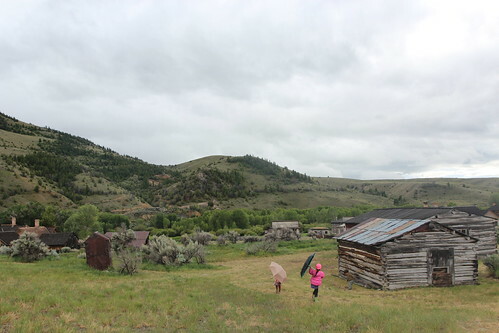 Its secluded geography also drew a lot of criminals who came here to obtain their riches forcibly by robbing stagecoaches that traveled through the area. 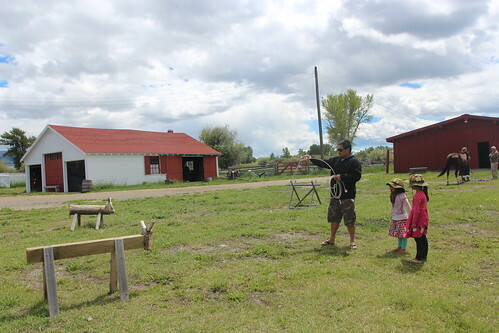 It got so bad that a a group of men in the area formed the infamous Montana Vigilante to deal with the issue that law simply was not able to handle. 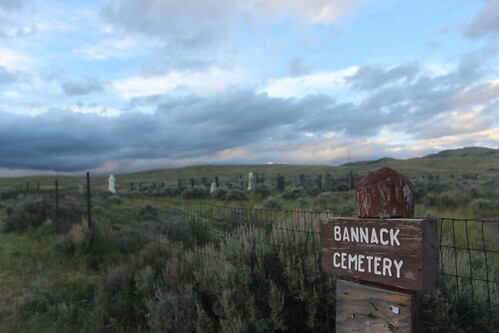 During its existence, the vigilante committee lynched more than 20 people without trial for suspicion of murders and robberies in the Montana territory. I wanted to once again fly the helicopter for some videos so I went to set it up. Foolishly, I flew for 15 epic minutes during the best hour of the day thinking I had captured some awesome footage only to find out that I depleted my one and only battery without pressing the record button on the GoPro camera. I rushed back to the Mish and put the battery on charge hoping to get enough power back in it to fly it again before it got completely dark. 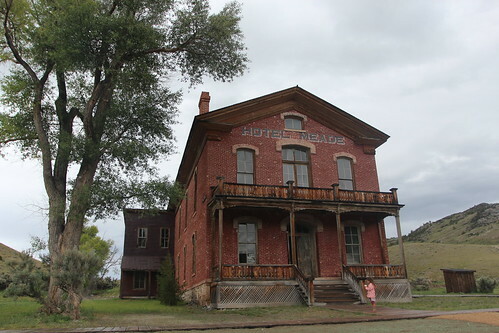 Fortunately, I was able to get another 6 minutes of video of this amazing ghost town before we left. 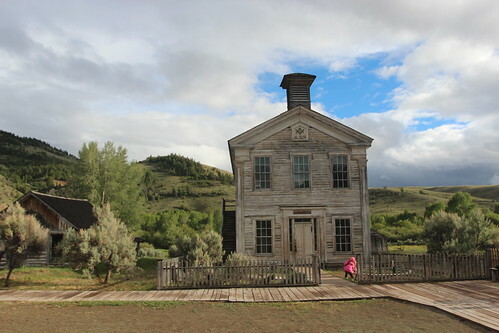 This is the old school house complete with the old playground in the front of the building. 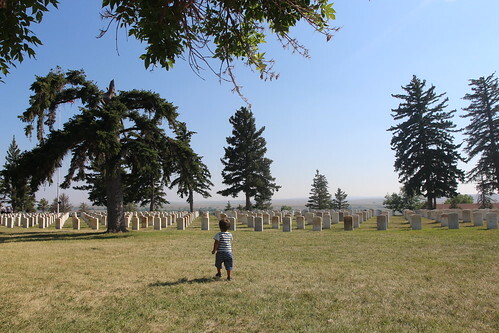 Marlene is a sucker for cemeteries. We had to stop and get some photos of this one before the sun completely set. 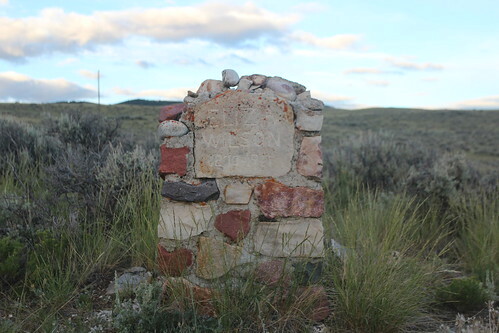 There are some authentically old head stones from the old west. 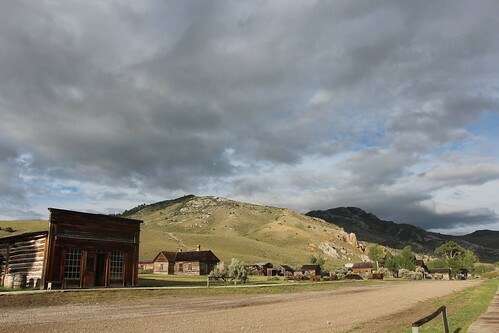 After we left Bannack, we headed into Butte. 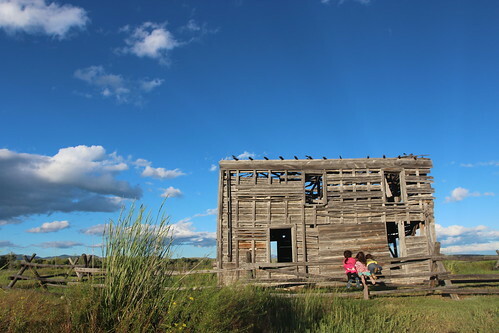 We drove through there in 2012 but only spend a night in the Walmart before moving on. This time around, we are going to explore a little bit. 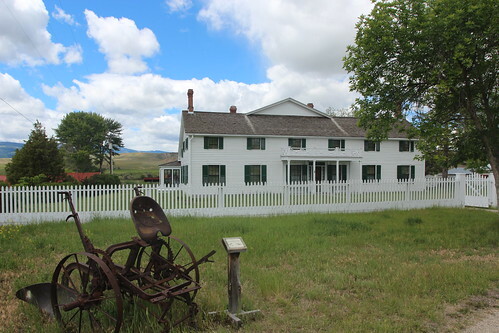 First stop is the Grant-Kohrs Ranch a few miles north. 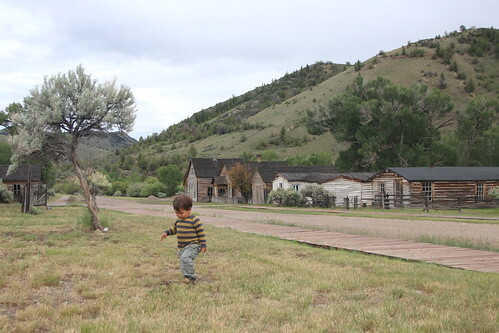 Grant-Kohrs is a historical ranch like many around here that got its start in the 19th century. 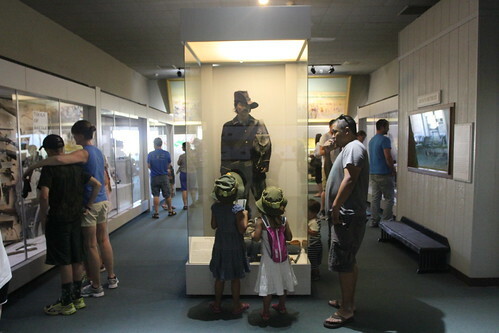 It is now a National Historic Site managed by the National Park Service. 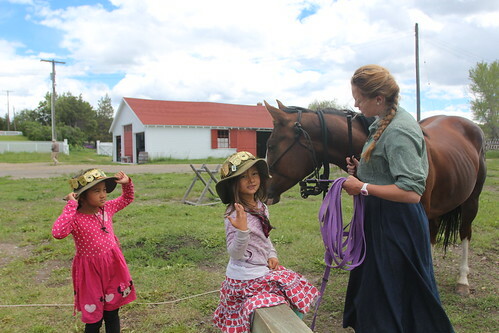 There was a young woman here with her horse working for the summer showing us everything there is to know about her horse. Turns out she is a college student who does barrel racing in rodeos. It is actually a collegiate sport in many colleges and universities. 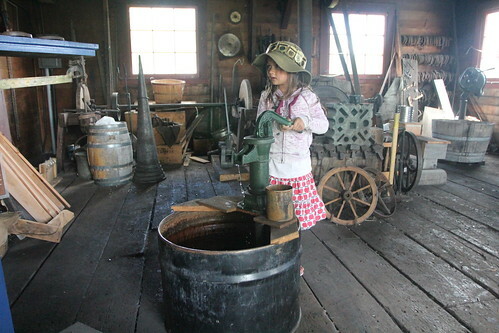 Here at the Grant-Kohrs Ranch, the kids got to learn all about what life was like here before the industrial revolution. If you needed something made of metal, you ask the blacksmith to make you one instead of running over to the Home Depot. Be got back into Butte and headed straight to Joe’s Pasty Shop. It has the best online reviews of pasties in Butte. If you don’t know what a pasty is, it is basically a meat pie that miners use to take when them to eat for lunch. I am all about pocketable meat dishes you eat with your hands. 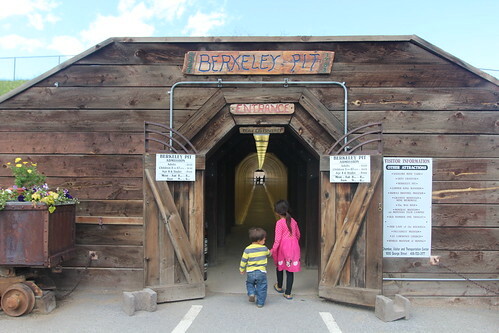 Our last stop in Butte is the Berkeley Pit. As a historic mining city, pits like these are pretty common. 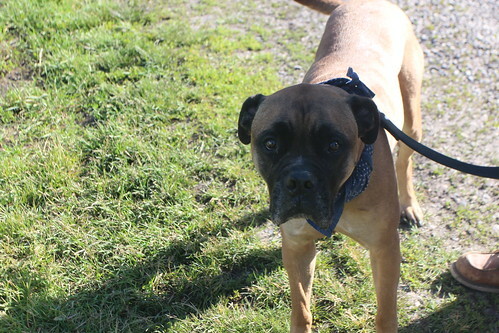 This particular one is one of the most well known pits around here. Toxic waste waters have been seeping through the soil and have filled this pit. It actually costs money to go see this disaster but Marlene could not pass it up. The kids get to go for free so I waited in the car. When she got back, she confirmed that the tunnel to get out to the pit was the best part of it all so I didn’t miss much as I suspected. 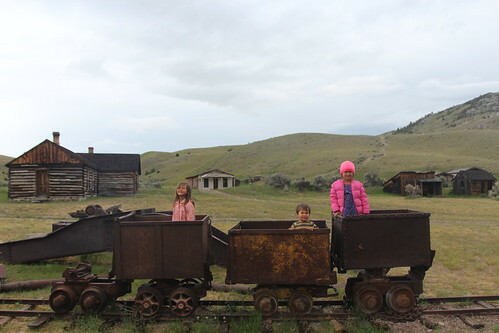 We left Butte and started making our way towards Bozeman. On our way there, we took a small detour at Three Forks. 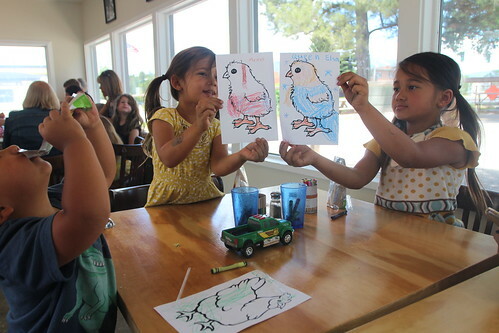 Three Forks is just south of the Missouri Headwaters. 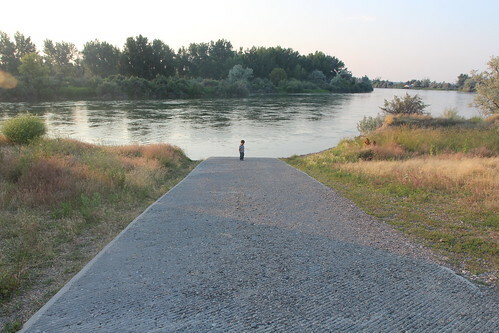 Right here is where the Missouri River gets it start at the confluence of three rivers. This building was once a hotel in Old Gallatin City that was suppose to form a metropolis that controlled all of the shipping traffic through the river before a series of dams prevented boats from ever making it this far. 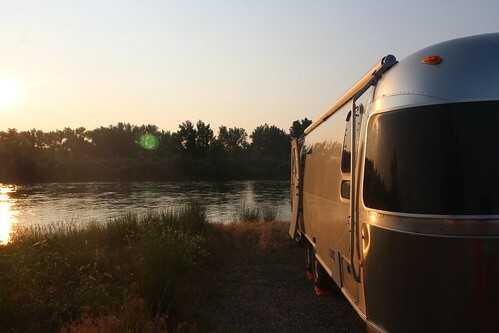 We made it to Bozeman and got a spot at Sunrise Campground. 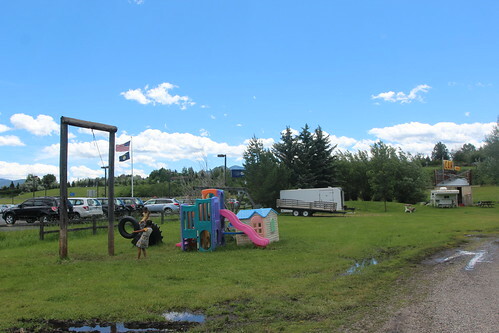 It is very unlike us to stay at a private RV Park but Bozeman doesn’t really have too many options. 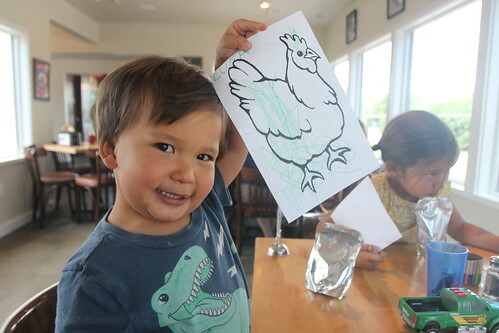 This is our second time here and when we were here last, we found a great spot for fried chicken called Roost. 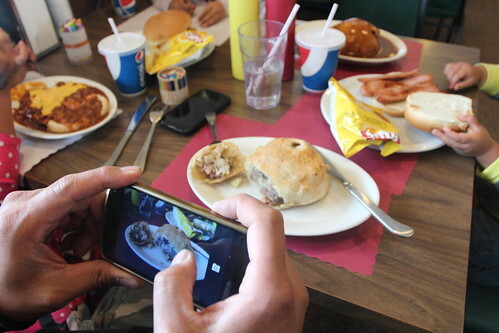 We could not help ourselves but to grab a bite here. 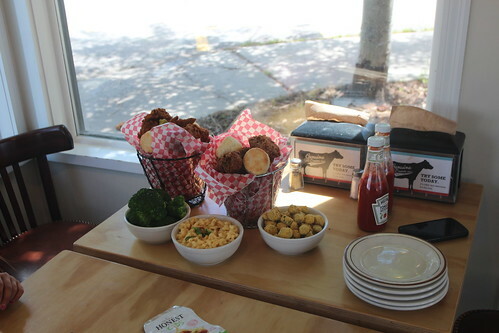 You wouldn’t think Montana is the spot to get some good ol’ southern fried chicken but this is the real deal. 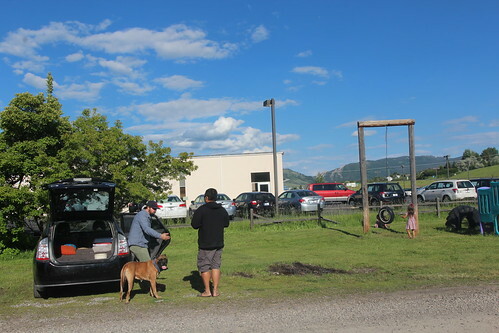 While we were in Bozeman, our friend Chris New (@i_am_chris_new) drove through town with his pup for a visit. We met Chris randomly a few months ago at Salvation Mountain. He recognized the kids from our Instagram feed as they were running around and came to introduce himself. He lives and works in LA but take epic weekend trips to far away places in very short amount of time. He had a week off so he decided to take a trip to Canada. Yeah, I know. He is crazy. Before we ever left Bozeman, Chris was already in Alberta, Canada. 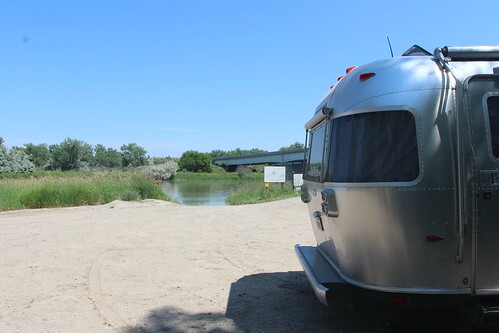 As we continued to head east, we found several boondocking sites all along rivers in Montana. 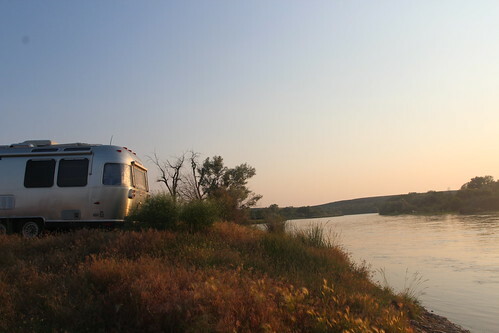 Turns out that most of these fishing spots in Montana allow overnight camping. This one is named Mallard’s Landing and there was a perfect spot right on the river that we could back up to. The scenery here is absolutely breathtaking but unfortunately there are lots of mosquitoes this time of year. 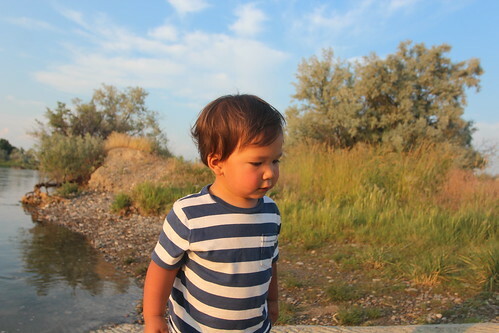 They are worst at dusk but golden hour here is so beautiful we had to brave the bugs for at least a little. Here is another aerial video. 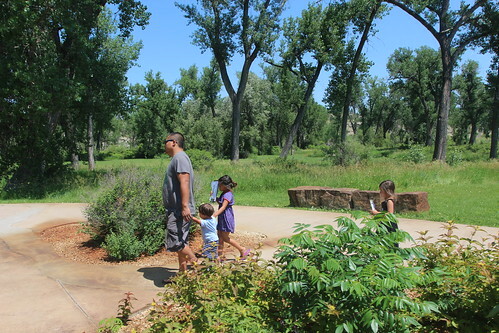 This is of Mallard’s Landing along Big Horn River. 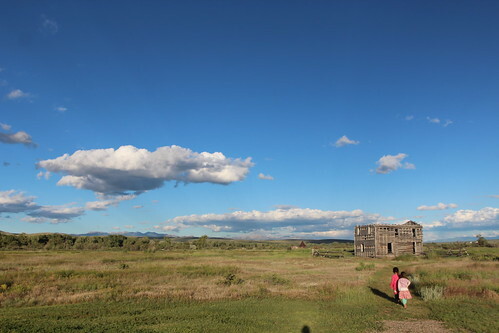 We continued to head east and now we are in totally new territory for us in Montana. 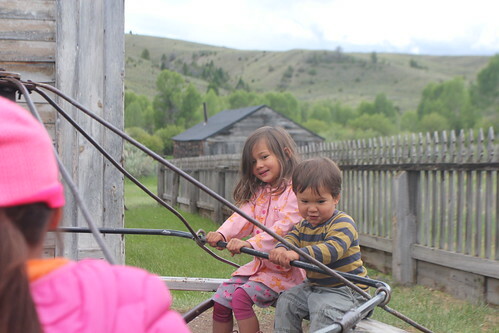 Prior to this visit, we’ve only been as far east as Bozeman before we headed south into Yellowstone. 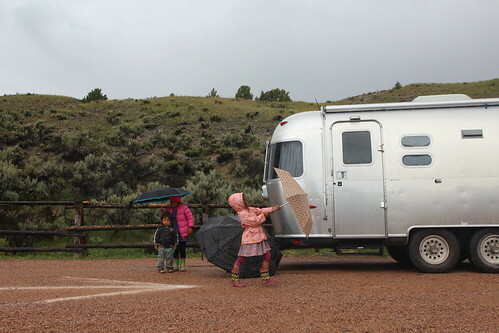 We diverted south of Interstate 90 to make our way to Big Horn Canyon National Recreation Area. We got to the visitor center just to find out that from this side of the reservoir our only option to explore the NRA is by water. 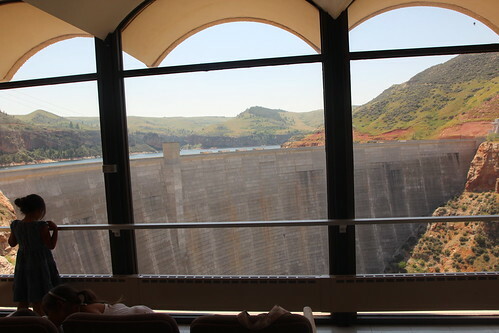 To see the rest of the canyon by land, we would have to make some major detours. 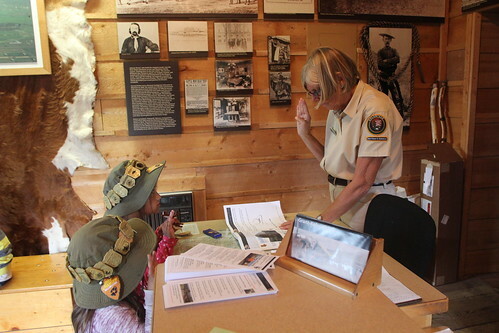 I guess we will settle for getting some Junior Ranger badges here instead. I am sure we will be back again later to explore the rest of the canyon. 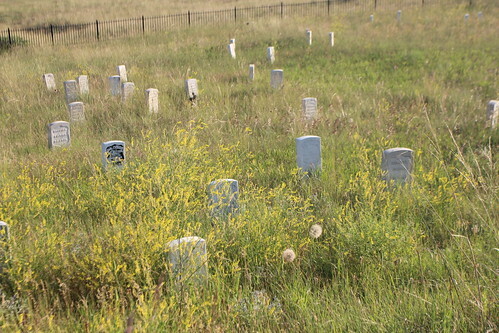 About a half an hours drive east of Big Horn Canyon we made our way to Little Big Horn Battlefield. It is surprising how much more popular this place is as compared to Big Horn Canyon. 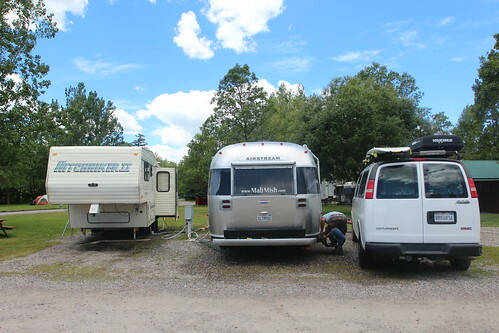 We were the only people at that visitor center where as here we were lucky to have found a parking spot. 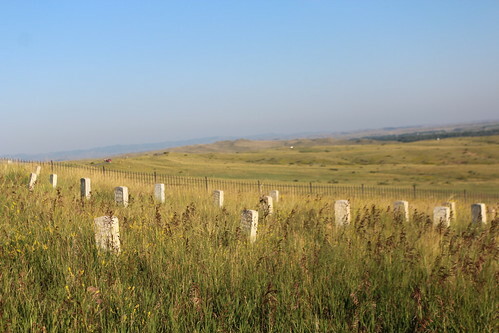 Little Big Horn is of course where George Custer, and U.S. Army’s 7th Cavalry, made his final stand in a battle against the Sioux and Cheyenne Indians. The drive through the battlefield is quite a somber experience. You can pull over along side of the road to read about each location and its significance to the battle. 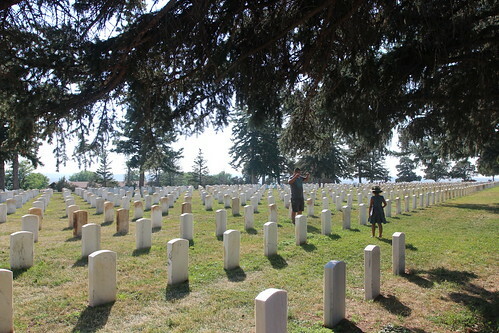 Wherever an U.S. soldier or Indian was killed, a marker has been placed. 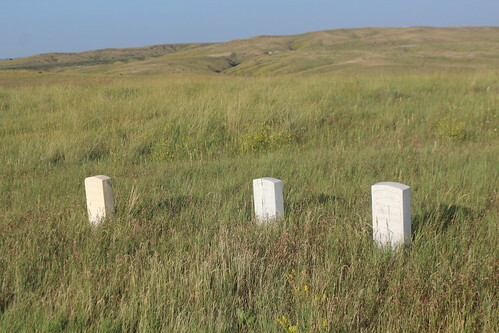 On the top of the hill where Custer made his final stand, a large cluster of markers show exactly where their bodies were found. 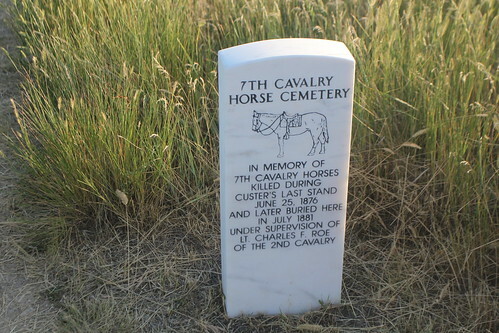 The marker colored in black is where George Custer laid as the 7th Cavalry was essentially wiped out. 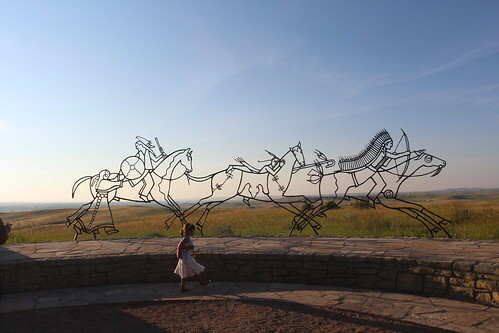 Near the end of the battle, many of the soldiers shot their own horses and used them as barriers against the thousands of Sioux and Cheyenne Indians that overwhelmed them. 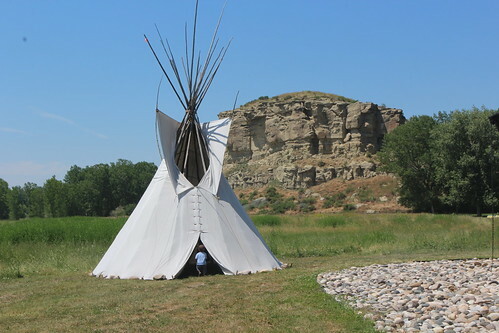 Not only is Little Big Horn a memorial for the Army soldiers that lost their lives here, it is also a memorial for the Indians that fought and sacrificed to preserve their way of life. A separate memorial has been raised in recent years to pay tribute to their loss. 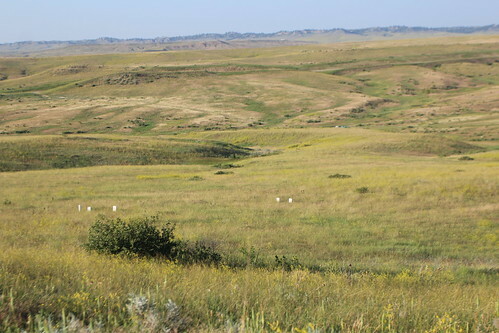 Our last stop before we left Montana and headed into North Dakota is a National Monument called Pompey’s Pillar. 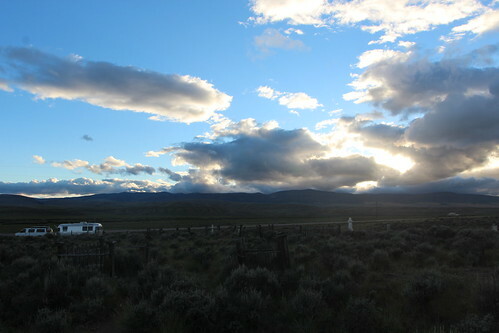 It is a National Monument operated by the Bureau of Land Management instead of National Park Service. 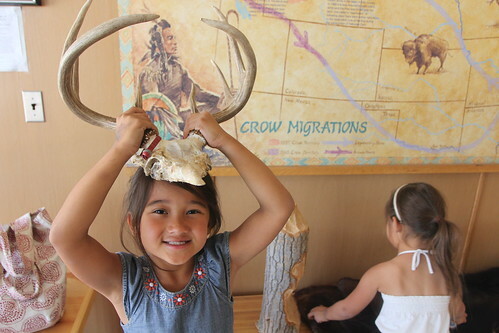 Normally the NMs on BLM land do not have visitor centers or Junior Ranger programs and badges. This is the only exception that we have ever been to. 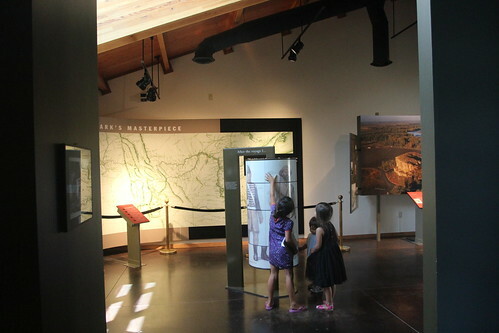 Pompey’s Pillar is the only place along the Lewis and Clark route that a visible remnant of the voyage was recorded. 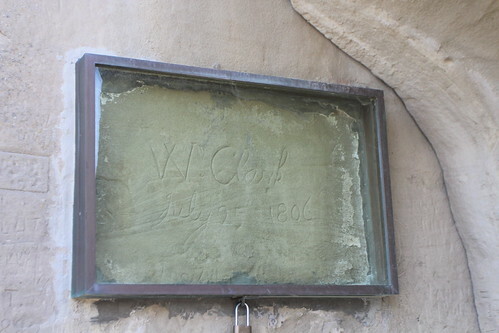 On July 25th 1806, Captain William Clark carved his name on this stone wall. 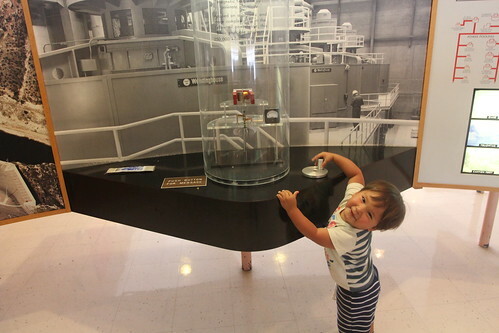 It is behind protective glass and still clearly visible today. 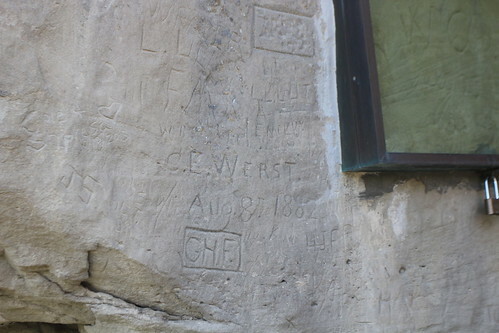 Over the years, people have defaced the stone around his carving and left markings of their own. Today a security camera is constantly monitoring to prevent that from happening. For our last night in Montana we found another fishing spot, Manual Lisa, on our way out which unfortunately was once again mosquito ridden but we can’t complain about the price.